Cloe Gair was fed up. She had spent years looking for a good job. But no matter how hard she tried, Gair knew her efforts wouldn’t be fruitful. Not that she was lacking in skill, character, or ability – it’s that no one wanted to hire a transgender woman. Taking her future into her own hands, Gair decided to create the opportunities others denied her. Sitting at her dining table with just R760 to spare, she needed to make a plan. The solution to changing her life lay in a bottle of perfume. Gair began distributing her own scents, making them accessible and affordable. Through word-of-mouth, her business boomed in Despatch, a small town in the Eastern Cape. Today, Gair is the owner of Lari-Lu Perfumes, supplying 50 shops with over 70 agents selling on her behalf. Gair acknowledges that she’s one of the lucky ones. “Many people are unaware of the struggles faced by trans women,” she says. Read: Can a game of polo right the wrongs of inequality? Prejudice runs deep, limiting opportunities for transgender people and restricting them from earning a living. With her entrepreneurial spirit, Gair is attempting to turn the tide. 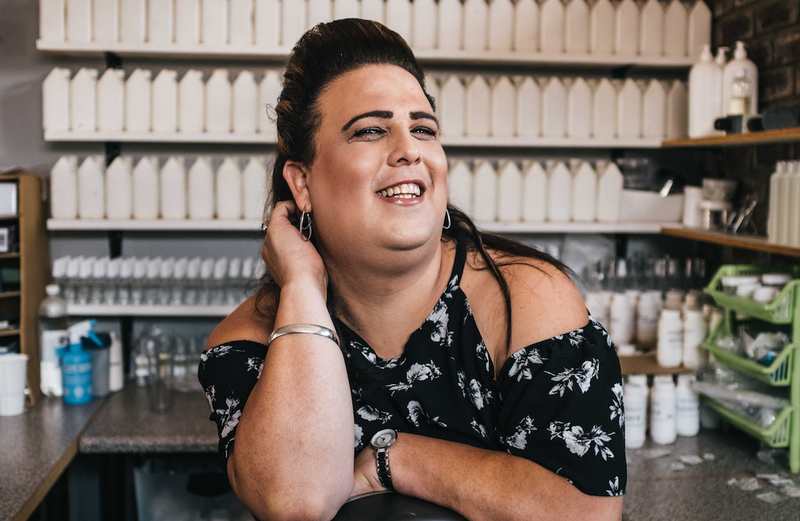 “My goal is to employ transgender women,” she says. For this businesswoman, it’s not just about providing employment but restoring dignity. Read: If you can’t speak the truth, sing it! By embracing her identity, Gair has freed herself to reach her full potential. “This woman inside me came out and she is stronger than before,” she says. Gair’s perfume business is a constant reminder of what she’s capable of. “The most powerful thing I did was to create a better life for myself,” she says. Now, Gair is using her craft to help other transgender people flourish too.